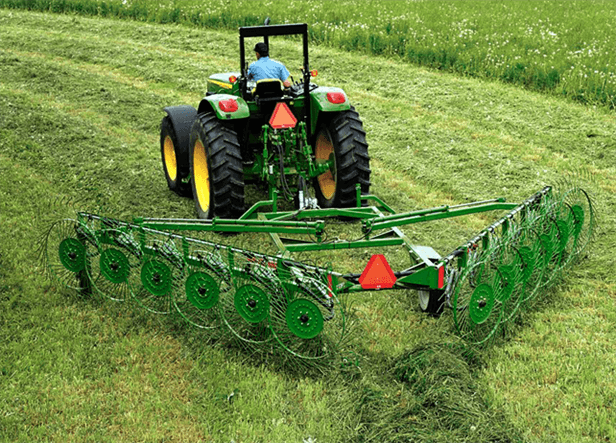 With 40 teeth per wheel, these rakes handle crop gently with less leaf loss. What's more, Frontier Wheel Rakes have wide, stout teeth, making it easier to fluff and fold crops weighed down by rain or dew. These Frontier Wheel Rakes are built with a heavy-duty frame reinforced with truss beams for durability. Each model folds to less than 10 feet wide, allowing for easy transport and convenient storage.